Regional slang is everywhere, and losing things in translation can result in situations that are everything from confusing to humorous. Alaska, being thousands of miles away from the closest neighboring state, has more than just a few words unique to the area. We’ve rounded up a selection of our favorites for your studying pleasure before your next big trip to the Last Frontier. You’ll be talking like a sourdough before you know it! Midnight sun – You’ll hear this referenced often in conversation during the summer months, and the meaning is probably pretty easy to figure out. In a climate as northern as Alaska, the summer sun is usually up longer than we are! Dipnetting – A way of catching fish in a river using a net, requiring good timing and luck. The technique has strict permitting rules and can only be used by Alaska resident. Mud flats – Found in coastal areas, mud flats are created when the tide deposits mud as it flows in and out. When the tide is out, the flats can look like a big, muddy beach area. Arctic entry – The room between the front door and the rest of the house that protects everyone inside from the harsh winter temperatures during comings and goings. Reindeer sausage – Like a hot dog, but made with reindeer meat. There are many delicious food vendors outside in the summertime grilling up tasty reindeer dogs for hungry visitors and locals alike. Snow birds – These are people who jet out of Alaska when the snow flies. They generally have a summer home in Alaska and a winter home in a warmer climate. Living a life of endless summer sounds pretty great to us, but we would never want to miss out on all of the qualities that make winter in Alaska so magical! Moose rack – The term for a moose’s antlers. For hunters, it’s a coveted prize to display on the wall above a fireplace. 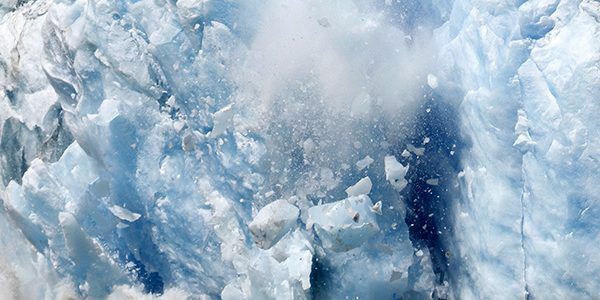 Calving – The word for when a piece of a glacier or an iceberg splits and falls off. 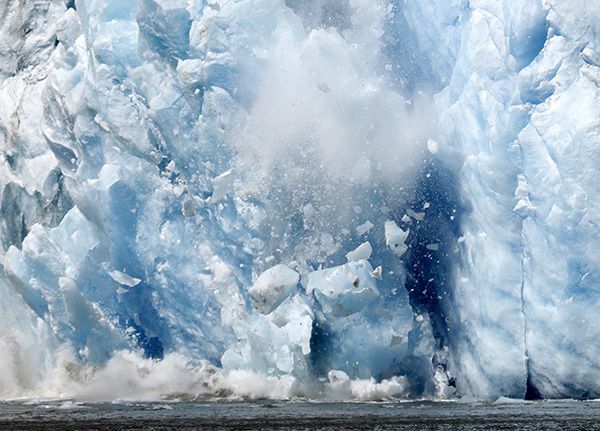 This is usually caused by the ice expanding and is quite a sight to see! Alpenglow – The gorgeous, rosy glow on the mountains when the sun hits it just right. Sourdough – A word for an Alaska old-timer, someone who’s experienced with the area.